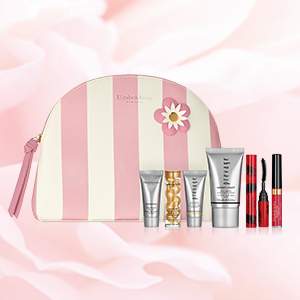 Elizabeth Arden offers 20% off +Free 7-pc gift ($109 value) with any $125 purchase via coupon code LOVE . Or, Free 7-Piece Gift (a $109+ value) with any $50 purchase via coupon code VALENTINE . Or, Free Full-Sized Advanced Ceramide Capsules Daily Youth Restoring Serum (30-piece) with $125 purchase via coupon code BONUS . Free shipping on all orders over $50. Cart must value $50 after 20% off in order to receive free shipping.